Lavar Ball said something crazy: You won’t believe what happens next! So, I’m defending Lavar Ball today. Or rather, I’m defending journalists’ rights to talk to Lavar Ball. Look, Lavar Ball’s a carnival barker who has created literal international incidents for his sons. And the media has an unhealthy obsession with him. He’s a colorful guy who loud opinions who is always going to give you a quote, but media are talking to him because they know they’re going to get an explosive quote. That quote becomes a story, so it's an endless cycle. He's newsworthy only because the media have declared him to be newsworthy. Family, friends and agents wait for players in the seats behind the basket closest to the visiting team's locker room at the conclusion of games. Interviews conducted in that designated area and near the tunnel leading to the arena corridors are now forbidden. In prior years, media socialized and, at times, interviewed individuals in that sector without interference. If a media member is recognized in that area now, arena security or Laker staffers direct that he or she leave the area. This has nothing to do with privacy. This has everything to do with keeping the media from talking to Lavar Ball. And maybe media shouldn't talk to him so much. 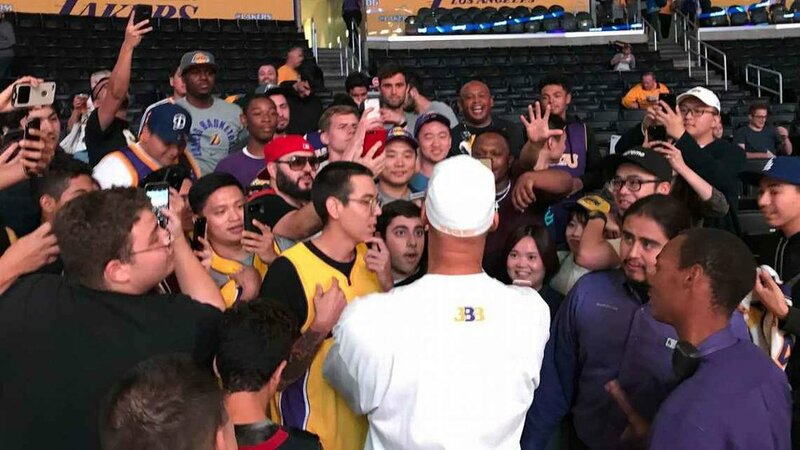 But here’s the thing — Lavar Ball is not an employee of the Lakers. They have no right to control to whom he does or doesn’t speak. They have no right to control whether or not the media speak to a person who is not employed by the team. This rule throws the baby out with the bathwater and hurts reporters who are trying to find other stories. Ideally. the media would practice some self-restraint here and find better sources and better stories, rather than this endless cycle of “Lavar Ball said something crazy, you won’t believe what happens next!” stories. But that’s for the media to decide.